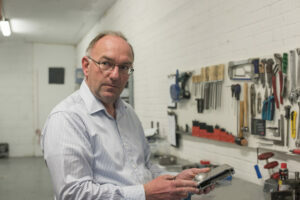 Toby maintains key relationships with current customers and is also active in searching for new projects and clients. Earlier experience in construction supplies gained him a keen interest in providing solutions for problems that people at the coalface encounter every day. Toby drives an old Jeep, to the detriment of everyone’s auditory canals. @: Interact with Toby Roberts-Davies here. 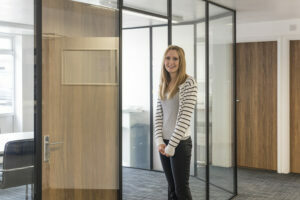 Natalie is one of the first phone answerers and is more than capable of sorting your queries and technical questions. Her friendly phone manner and efficient response to enquiries comes from her previous experience in demanding customer service roles. Natalie is also, incidentally, guinea-pig friendly. @: Interact with Natalie Wookey here. Ian is responsible to ensure that products are manufactured to our quality standards and the operations run smoothly, whilst ensuring that we are constantly improving our production to exceed customer expectations. 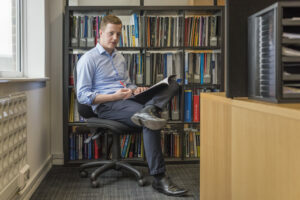 His passion for efficiency and systematised work is undoubtedly reflected in his desk, which is clear at least once a year. @: Interact with Ian Hetherington here. 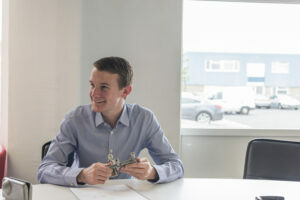 Jacob has a high level of interest in all areas of the business, especially finance and R&D, while his in-depth product and industry knowledge remains useful to colleagues and customers alike. In his spare time, and non-spare time, he’s often found perfecting his tea-drinking skills. @: Interact with Jacob Napthine here. Simon retains strong involvement in the day-to-day overseeing of the company as well as being responsible for its strategic direction. Simon has designed the bulk of our products, and his engineering background and innovative ideas often provide an irresistible attraction for him in the direction of our R&D workshop. @: Interact with Simon Napthine here. 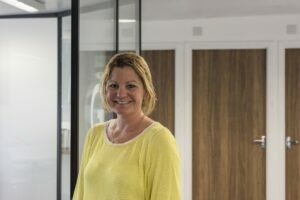 Helen looks after daily accounts related tasks, dealing with the admin of incoming and outgoing payments, while her passion for finance and business gives her a key involvement in tracking the financial stability of the company. She is also into horse-riding and cycling, although unfortunately for her both are banned in the office. @: Interact with Helen Hope here.